The soaring success of Bohemian Rhapsody – the Freddie Mercury/Queen movie that is set to become the biggest grossing music biopic of all time – has proven that the public’s love for Queen remains as strong as ever. 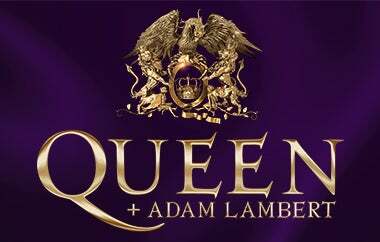 Longtime fans and recent converts will be thrilled to discover then, that Queen – original band members Brian May and Roger Taylor, teaming up once more with longtime front man Adam Lambert on lead vocals – will perform at Wells Fargo Center on Saturday, August 3 at 8 p.m.
Tickets go on sale to the general public starting Friday, December 7 at 9 a.m., online at WellsFargoCenterPhilly.com, by phone at 1-800-298-4200, or in person at the Wells Fargo Center box office. With Brian May adding: “This is a great opportunity. Our last tour featured our most ambitious production ever, and got us our best notices ever. So we decided to rip it apart and get even more ambitious! Watch out, America! "